You know what our summer is like – pretty unpredictable. 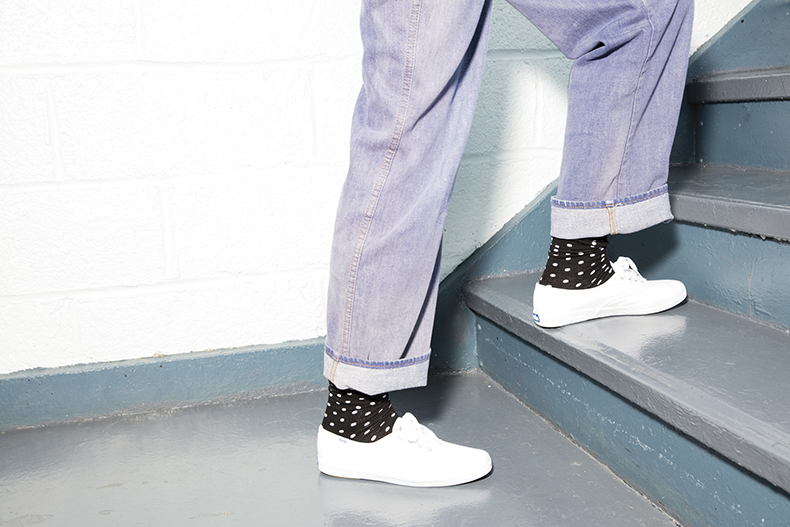 There’s been about one sunny day this year and so guys, you’re probably quite out of practice when it comes to baring those ankles. Here’s hoping the sun might step up and come out for at least one more day. The potential pitfalls of going without socks (sweaty feet, unsuitable footwear) are a worry, so we’re here to ensure that when the time comes for those ankles to get some air, you’re doing it right. Now, we understand completely that wearing your underpants over your trousers and popping a cape on to nip to the shops might raise a few eyebrows. Converse can save you the hassle of getting changed in a phone box and let you show your love for comic inspired style with a pair from their DC Comics collaboration collection. With Wimbledon reaching fever pitch, we’ve been bitten by the sporty little bug and the schuh HQ office chat is frequently revolving around the tournament. With us being obsessed with shoes, we’ve been making quite a racket about our favourite tennis shoes. Off the court stylin’ has never been so easy, so why not check out some of the tennis shoes we’ll be serving up during the Wimbledon Championship. Wedding season is in full swing, and that means outfits. By the dozen. Whether you’re looking for the perfect pair for your own big day or seeking a staple you can dance in that will last you till the very last reception and beyond, we’ve got you covered when it comes to wedding shoes. People who wear yoga pants everywhere and anywhere are rejoicing – athleisure is here to stay. 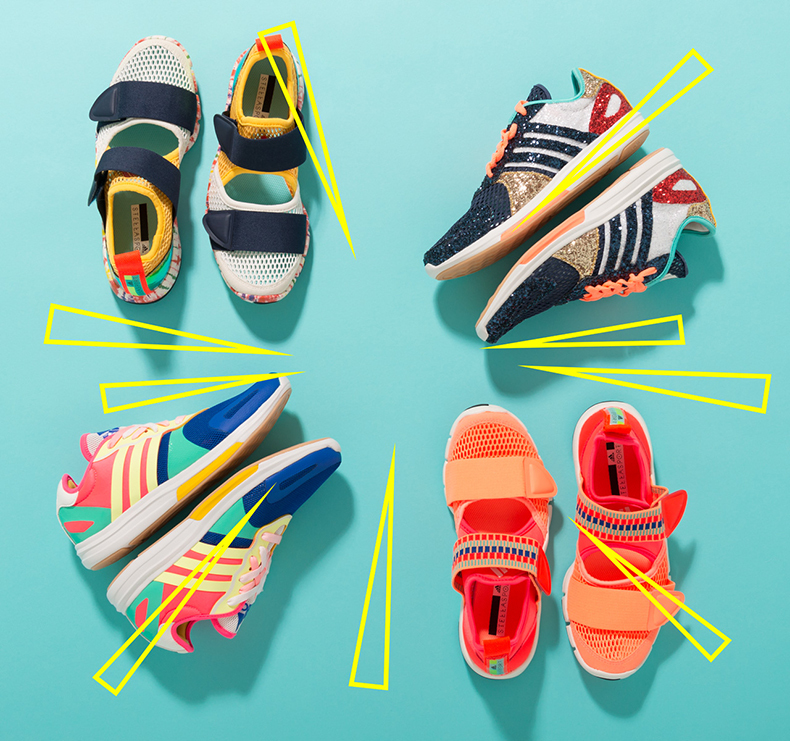 adidas StellaSport fits perfectly into this trend, with their seasonal brights . Step away from your old trusty trainers – and embrace some vivid kicks to take your look from gym to street and check out our rules for wearing the trend. Get ready to meet the latest Dr Martens collaboration – the Heroes in a Half Shell are back. The second Solebloc Sneaker Festival, took place in Glasgow at the weekend and schuh were first in the door. After the runaway success of last year’s event, we returned with a pimped version of our retro arcade. You might have noticed last week that we were feeling all nostalgic as we revisited the history of Keds on the approach to their 100th birthday. This time, we’ve got our sights firmly set on the future of the classic white plimsoll – their spring/summer ’16 campaign is looking fresh.